I joined HubPages after spending a couple of months browsing through the work of a number of authors. I was impressed by the typical high quality of work by this community of writers and artists. I was also captivated by the diverse subject matter and the rich writing content and beautiful images that were being published. HubPages is a wonderful community of writing professionals, running the gamut from novice writer just beginning to earn money for their work to veteran professionals who use HubPages as a core component of their overall publishing strategy. I was attracted to the opportunity to write and publish across a broad range of subjects in which I have knowledge and experience, and which I have a passion to share. Being able to earn income while writing short features on my own schedule is hugely attractive, and one of the biggest reasons I am part of the HubPages community. My background includes many years of experience in business, including sales and management, service and technical work, photography, and writing. My previously published works include numerous feature articles for magazines, columns and short features for newspapers, poetry in magazines and small press publications, and short stories in small press and story collections. I worked for many years as a professional photographer, and have experience in wedding photography, executive portraiture, and commercial and industrial photography. My advertising and editorial images have been published internationally, and my advertising images have been used in both commercial and non-profit ad campaigns. I have taught programs in photography, lighting, darkroom and photographic retouching, and have worked as a presenter for photographic seminars for Pentax, Olympus, Bronica and Hasselblad Corporations. 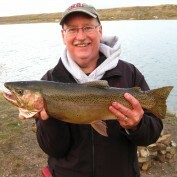 I am an avid fisherman and fly tyer for many years. I have fished more great waters and caught more beautiful fish with better friends than I deserve. I love sharing my knowledge and hope that it will help others to enjoy fishing as much as I do. I love storytelling, and I love good stories, in whatever form they may be told. The Snowbee Waldron is an elite true rotary fly tying vise, the cooperative product of Snowbee Manufacturing in England, and Legendary designer Lawrence Waldron, best know for the LAW vise. This review evaluates the design and performance of the Snow Waldron vise. 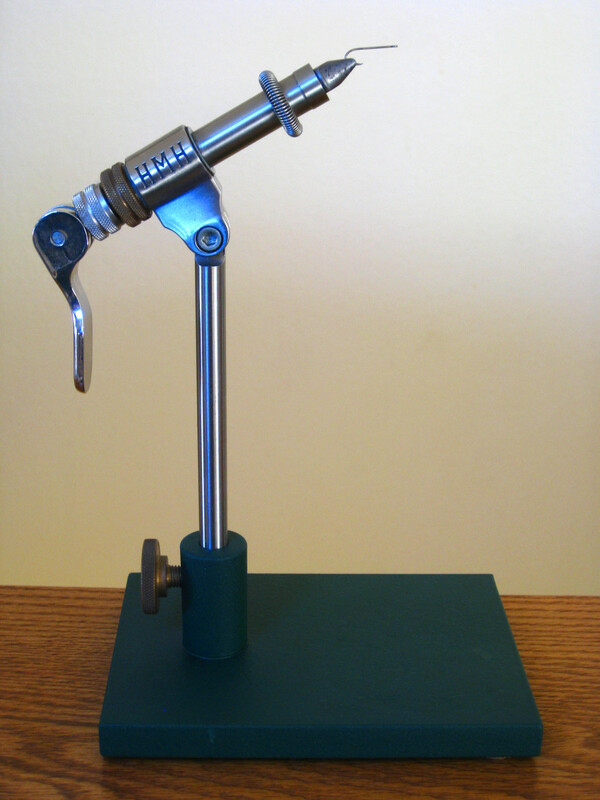 Product review of the HMH Spartan fly tying vise. 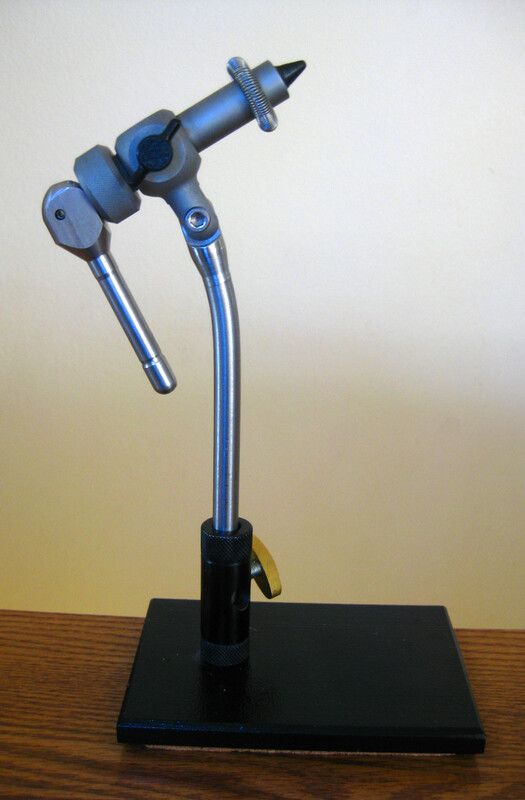 HMH offers the finest traditional (non-rotary) vises in the world. Is this the vise for you? Read this detailed review to find out. 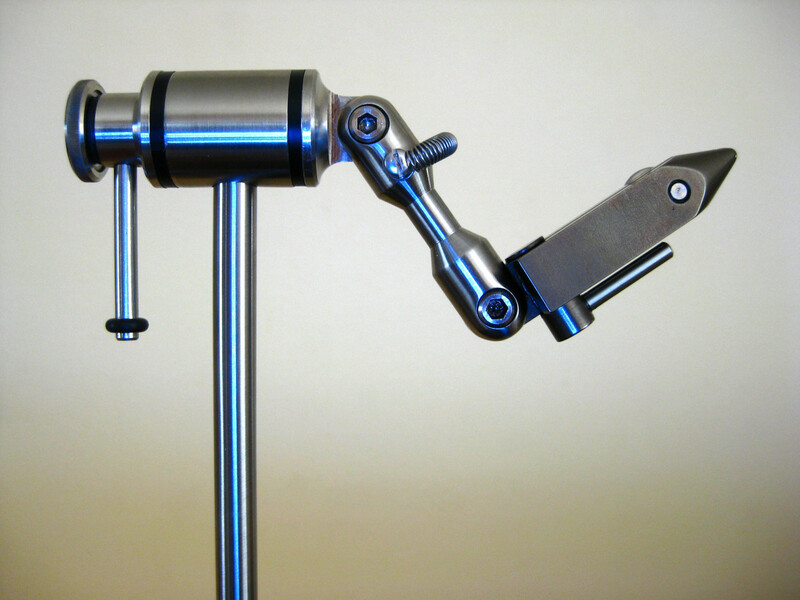 A review of the Anvil Apex fly tying vise, an American made compact vise with a huge hook size range for the built-in jaws.